Ever imagined that you can even get to encounter a cool camping moment prior to reaching the spot and during the time of being in truck? Yup! Some of the brands have started to offer a kind of cool truck tents that manages to mount well with the truck so that you can set one at the back of the truck to experience an on the go adventure. So if you want to take a sip of a nomadic life and push yourself out for going on a camp in your truck, this is a great chance to use such tent. And if you are yet to buy one then you must have a look at this truck tent that the brand Kodiak is providing. Starting from the resilience to its robustness, the tent happens to impress you much to convince so that you have it. And if you want to know more about this cool truck tent, then here I have come with a Kodiak canvas truck tent review so that I can enlighten you about the wigwam and give you the reason of having it. Note: Before you make up your mind to get this one, it is better that you check the list whether the tent will be compatible with your truck or not. Or else the buck spent on the tent will be nothing but a waste. Not all the truck owning people will get a chance to own this cool tent. Since there are limitations in its compatibility it might disappoint many people. However, if you somehow find yourself to be one of the owners of the trucks like Nissan Titan, Toyota Tundra, Dodge Ram or GMC Sierra, Chevy Silverado or F series of Ford cars, then you can get the privilege of owning this tent from Kodiak. Since it goes well with a variety of branded trucks, you can think of taking it into consideration. Materials are considered to be the skin and bones of a product. To be more precise, it actually determines how the stuff would perform. The Kodiak canvas truck tent happens to be built with Hydra shield and cotton duck canvas. The material seems to guarantee a great durability and breathability of the product. Kodiak canvas truck tent appears to be very striking when it comes to the design of the product. The tent resembles like a tunnel owning a huge internal space up to 5 feet tall if you measure it from the height of its ceiling. Besides the internal space, you can also expand it some more for the tailgate down system for use. However, as for the door, you will get one similar to D-shaped style with the YKK zippers. The door can be stated to be a plus point for its easy access. Moreover, it also comes with a lot of windows for giving you all the freshness with the door that are fixed with mesh screen layers helping you a lot to keep the bugs at bay. But you also have to keep in mind that the tent basically comes open, so there are possibilities for the bugs to get inside the tent. Hence, it is recommended to be careful for that. However, there is a steel tube frame that connects to the rails to get clipped in easily on the truck bed so that you can get a secured fit. 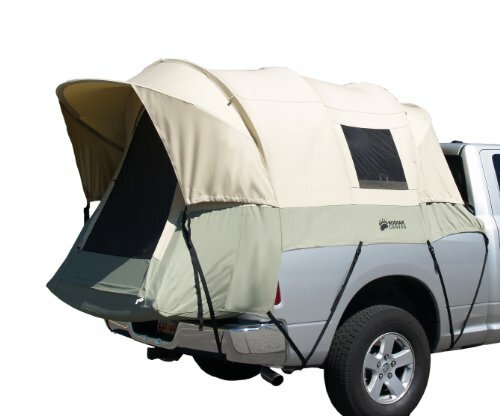 And since it is a truck bed tent, so you will be able to get all the protection to have a sound sleep inside the truck. It is a perfect tent to be used during summer and winter season. Although you can use it in all conditions of weather. Yet the tent cannot withstand heavy wind and snow conditions. So, it is advisable to ensure you don’t step on a trip with your family having this tent in such weather. If you think you want something to keep your smaller items, you don’t need to worry since the tent provides to pockets for your convenience. The presence of such pockets has made it a lot easier to keep your stuff safe. The Kodiak canvas truck tent have been designed for those who appear to own trucks like Nissan Titan, Toyota Tundra, Dodge Ram or GMC Sierra, Chevy Silverado or F series of Ford cars. Hence, not all the truck owning people can take the benefit of using a great tent like this one. 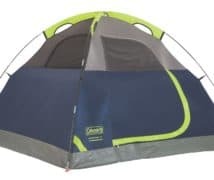 One of the plus points of owning this tent is that you will not even have to sleep on tough cold ground since the bed will give you all kinds of protections that you will be needing. And this was just the case of wintry weather. As for summer, the tent offers great shade protecting you from the sickening sun. Another plus part is that it offers better ventilation as well for possessing multiple windows so that you can get all fresh air and have a good sleep inside the truck, to be precise, the tent. There are also pockets that have been added to enhance the convenience of the product. As for the durability, the tent certainly seems to be very durable and strong to be used for longer term. The tent has a lot of qualification that makes it one of the best truck tents to own. Since many of the users have shown their satisfaction of using the product, so you can boast it to be worth the price. 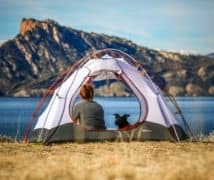 Though if you keep the value aside, you might find the tent a bit more on its price. Provides great ventilation for having a lot of windows and a big door. You will get a lot of room inside the tent. Not only that, there are extended option to make the tent more spacious. The windows have mesh screen layers that successfully keep the bugs at bay. So no more bug bites. It is amazingly easy and quick to assemble and set up the tent. The materials used on the tent made it pretty durable and strong. It is able to be used in all kind of weather conditions. You can have a good sleep for the protected and secured bed. There are pockets for added convenience of the tent. Although assembling is easier, but it is equally harder and takes a lot of time to take the tent down. Many users have complained about the installation instructions to be confusing, so it might lead to consume more time for installation. 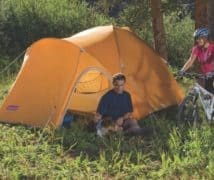 First time user might take more time to set up the tent. It tends to stand pretty tall from front to back. The tent is definitely not suitable for heavy wind and snow conditions. Hence you better avoid using it in such critical time. > The tent has a lot of space but you will be needing a good mattress to sleep on it. > The tent failed to fit a larger bed mattress so I had to spend some more bucks to get a smaller one that could fit it. > It takes about 15 to 20 minutes to set the whole tent but has consumed a lot of time while taking it down. > Has a lot of scope for great ventilation, happy with the product. > The instruction that came with the product for installation has eaten more time as it gave an unclear direction. Otherwise, the tent is great. 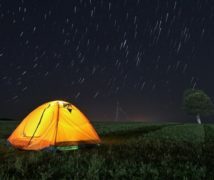 > The tent tends to be a great value for the money. Moreover, I found it well built and robust also. > The zippers do not feel cheap, rather they are very heavy duty. > I still did not get a chance to utilize the product for camping, but I indeed have assembled and set it up a lot of times for practice. And I must say, the tent is quite cool to have. > The tent is excellent and offers a dry comfortable place to sleep. > I could not be happier with the way the tent connected to my truck. The material of the canvas is extremely long-lasting that made the frame system more sturdy. > I noticed a loop on top center of the tent inside it which I have used it for hanging a lantern. It looked beautiful. Kodiak canvas truck tent has been able to give a great service since many of the users have claimed it so. Besides its great performance, the tent also offers you a good shelter to give you a different camping experience. So if you are all up to live a life like a Gypsy for a moment, The tent will be there to add a vibe to your trip.